We the Rwandan People’s Party join with all Africa, in offering our sympathy to all those who were injured in a bomb attack on a restaurant in the northern Tanzanian town of Arusha, on the night of the 7th of July. The bomb blast occurred in an Indian Restaurant popular with western tourists and wealthy Tanzanians. Eight people were wounded, one critically in this cowardly attack. We pray and hope for their total recovery. The RPP calls for those responsible to be swiftly brought to justice. The Rwandan People’s Party condemn this attack and all such similar terrorist incidents in Tanzania. Including the attack on the family home of the Muslim Cleric, Sheik Muhuli Hussein which injured family members and the visiting Sheik Sud, on last Friday morning during the ‘Daku’ or Suhoor. 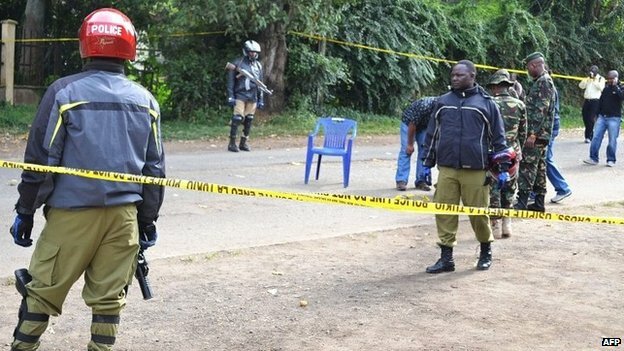 The RPP also condemns the previous attacks on Arusha, including the grenade attack in June 2013 that killed three and left 30 injured at a political rally and the blasts in May 2013 that left thirty injured at a Catholic Church. Terrorism is not the answer to Africa’s problems. Terror only results in misery, ethnic and religious hatred and leaves our people still enslaved to poverty. Bombs and grenades have nothing to offer the region. The people of East Africa deserve peace, education, employment and prosperity. The RPP strongly believes that the main dangers facing our people and region have nothing to do with the free movement of people and goods, economic union and political integration. The great regional diseases are poverty, which brings walls of fear, barriers of distrust and breeds religious and ethnic hatred, and terrorism, which brings only death and destruction. The twin evils of poverty and terrorism know no boundaries and do not discriminate between people. Many East Africans suffer from poverty and terrorism. Their sufferings cannot be relieved by frustrating plans for greater political and economic union and free movement of people and goods. The region’s chronic diseases of terrorism and poverty can be defeated if all East Africa people come together and resolve to fight poverty, terror and ethnic hatred. The RPP at this crucial moment in the history of East Africa, call on all its citizens to come together as one to work for peace and defeat the forces that threaten the social, economic and political fabrics of the region. I therefore call, along with my party on all those countries and people that are captive in the coils, of those ideas and policies that promote the fear of the unknown, jealousies, ethnic ideology and stoke hatred, to free themselves from these ideas and policies. We urge all East Africans to join with those power brokers who seek to enhance the politics, society and economy for the benefit of the region. East Africa, could have a bright future, if only regional powers stop choosing their own selfish interests over the greater good of the region of East Africa and its people. We condemn last night’s bomb attack as an attack on all Tanzanians. The RPP urge all East Africans to join together at this time not just to defeat terrorism and poverty but to make the region, a beacon of light for the rest of Africa. God Bless the People of Tanzania and all the people of East Africa.